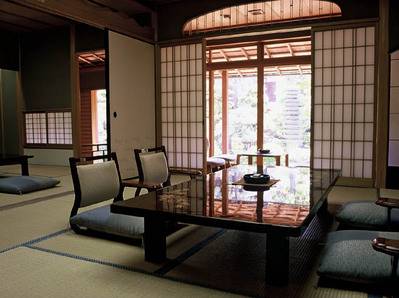 Tradtional Japanese-style room with veranda for relaxing and enjoying the outside view. This room is 8 tatami-mat size (approx. 13 sqm). Japanese-style guest room that has two rooms, providing more space and capacity than our standard guest rooms. 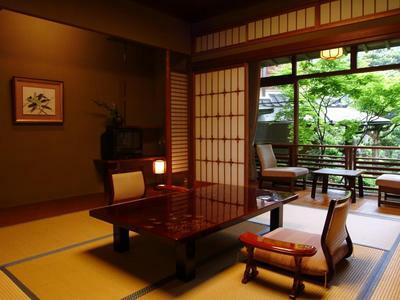 One standard 8 tatami-mat size (approx 15 sqm) room with outdoor private bath and small private garden. With spectacular, sweeping views of Honkans Japanese garden from the 2nd floor, you will soon discover why Matsu is one of our special rooms. Our largest, most deluxe guest rooms. 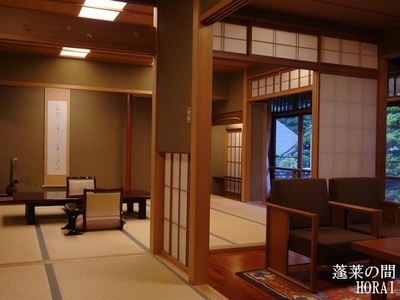 Choose from either Kangetsu Special Room or Horai Special Room. 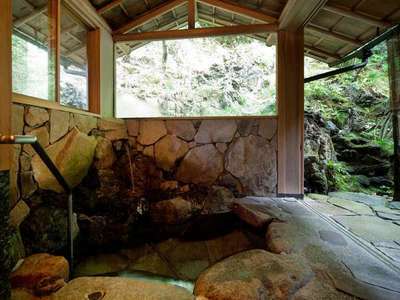 Japanese-style guest room with a private outdoor bath and garden. One of our most popular rooms. 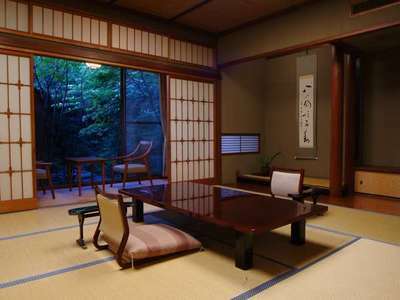 Japanese-style suite room with private open-air bath. Private garden view. 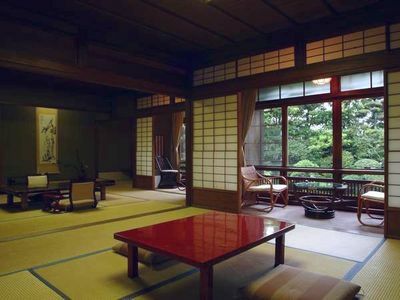 Japanese-style suite room with private open-air bath. Mountain view.